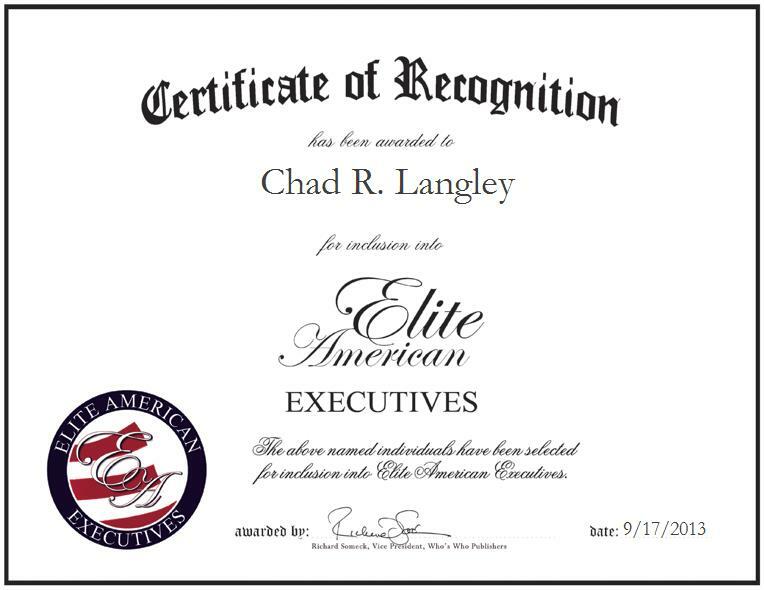 QUINCY, MA, August 26, 2013, Chad Langley, Chief Executive Officer of TestStripz LLC, has been recognized by Elite American Executives for dedication, achievements, and leadership in diabetes management. Inspired by personal experiences, Mr. Langley joined the fight to help individuals with diabetes by forming TestStripz LLC. Founded in 2011, the company offers resources, advice, and updates on health insurance. It also purchases unused diabetic supplies from individuals and businesses to prevent them from going to waste. By doing so, TestStripz LLC hopes to improve the lives of those affected by the disease and those that cannot afford or do not have access to the proper medicine/products they need. An expert in diabetes medical supplies, Mr. Langley is tasked with handling calls from customers on how to use products, and finding newer technologies. He wholeheartedly believes in his company’s mission and works hard to provide customers with the most up-to-date information and products. Mr. Langley hopes to expand the company’s services to include insulin and other medical supplies by 2014. He is also open to working with other individuals and businesses that are passionate about finding a cure for diabetes. Mr. Langley earned a Bachelor of Science at the University of Maryland and is OSHA certified. He keeps abreast of industry advancements and changes through his affiliation with the American Association of Diabetes Educators and sub-committee for American diabetes with the Quincy Chamber of Commerce.